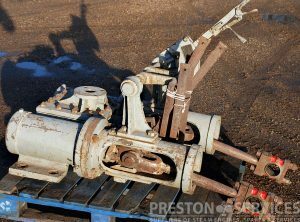 On heavy cast iron base with attached feed pump. Base approx 23″ long x 13″ Wide. 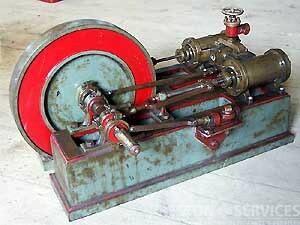 An early 1900’s workshop engine built by Gottfried Pöge, Germany. 125 x 200 mm (4.9 x 7.9″) Cylinder. 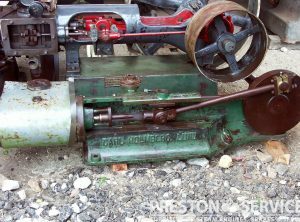 An exceptional and very rare, if not unique find, this is church organ steam engine plant and wooden blower. 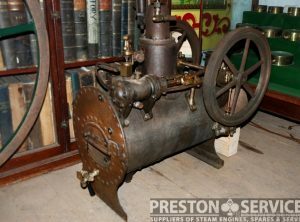 The original and complete plant comprises a handsome semi-portable style rivetted boiler (coal-fired) and overmounted single cylinder horizontal steam engine with feed boiler pump. For sale in very nice original condition. 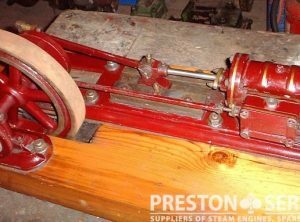 PUGSLEY Steam Crane Engine Twin Cylinders 6″ x 14″. Twin Cylinders 6″ x 14″. 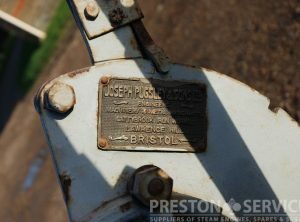 A rare machine by Joseph Pugsley & Sons of Bristol. 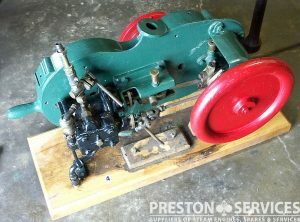 Without crankshaft but very original and in generally very good, little used condition. 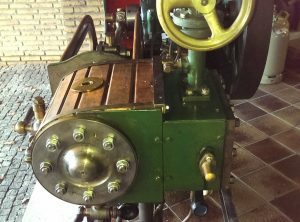 Cylinder 2″ x 4″. Wt approx 25 KGs. 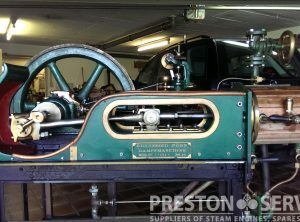 Flywheel 6 ft x 10″ ~ Bed 9 ft Long. 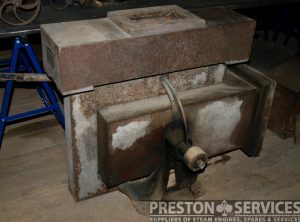 Wt est 3-4 Tonnes ~ Overall 11 ft x 6 ft. Thought to be by E.S. Hindley, c1900? Approx 4″ x 7″ Cylinder. Wt est 200 Kg. 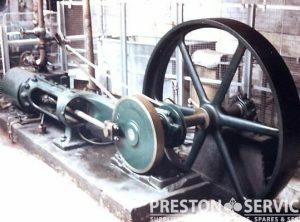 34″ Wide x 5 ft 4″ Long ~ Flywheel 36″ Dia. 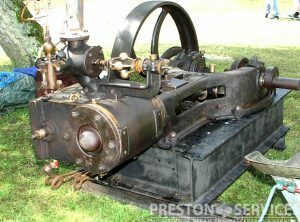 A rare type of steam engine designed for fishing net handling equipment.